This fireball happened on July 7th, 2015, about 20:01:10 UT, when there was still some daylight. 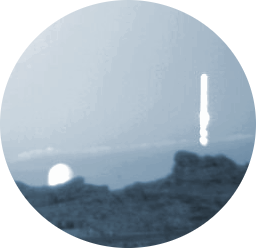 Unfortunately, this object seems to be observed only at Calar Alto fireball detection station and external surveillance webcams, so presently neither triangulation could be achieved nor its ground path. Last June 27th, 2015, about 02:48 UT, a fireball flew over Cuenca and Guadalajara Spanish provinces. 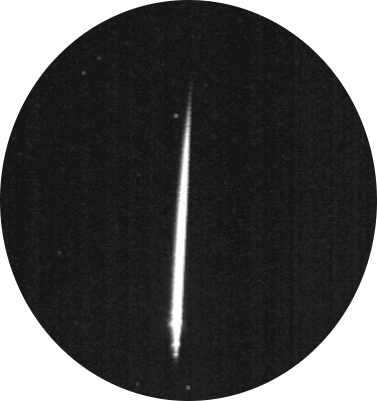 This fireball was best observed from northern stations, but it can also be viewed at Calar Alto. 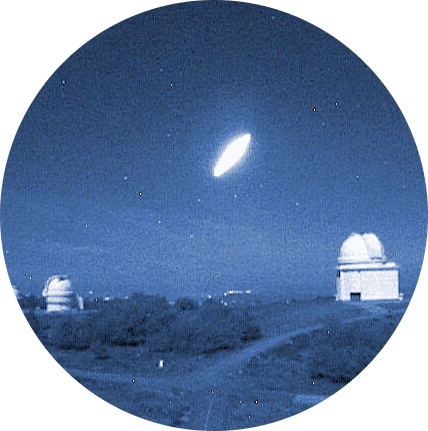 The object could be seen from both north cameras at the fireball detection station and surveillance webcam. The building on the image is the Calar Alto 2.2m telescope. 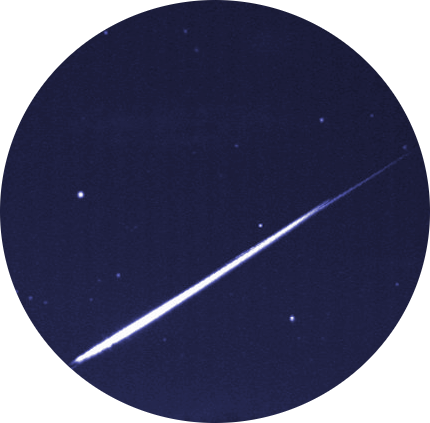 About 22:36:17 UT of June 6th, 2015, a fireball could be observed from the observatories of La Sagra, La Hita and also from Calar Alto Observatory (in this case, from two different cameras). The object happened over Jaén and Ciudad Real provinces. 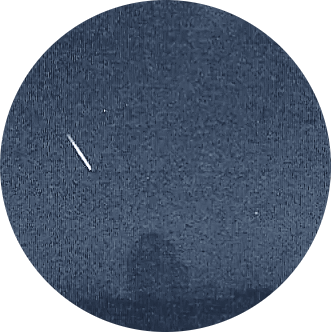 On April 30th 2015, at 22:39 UT, a fireball flew over the center part of Spain. The fireball was produced by a detached rock from an asteroid entering into our atmosphere with a speed of 22 Kilometers per seocond. Los días 30 y 31 de Marzo de 2015 se registraron dos eventos de bólidos. El primero, sobre las 02:39 UT del día 30 de Marzo sobrevoló la provincia de Toledo, cerca de Madrid. El segundo (que se puede ver en la imagen de la izquierda), sucedió a las 21:58 del último día de Marzo sobre la parte occidental de Andalucía. El sistema de detección de bólidos de Calar Alto solo pudo observar el que sobrevoló los cielos andaluces, ya que el de Toledo ocurrió demasiado bajo sobre el horizonte par que el sistema lo pudiese captar. Sin embargo, las webcams de vigilancia de Calar Alto sí pudieron observar ambos eventos.